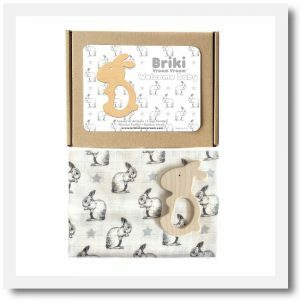 The Rabbit Baby set includes a Rabbit swaddle with matching teether and comes giftboxed with ribbon. 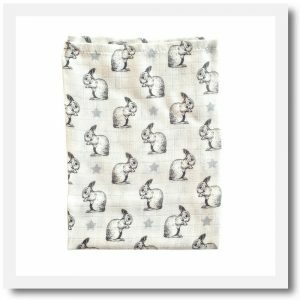 The Rabbit Swaddle has a delightful retro hand drawn design. 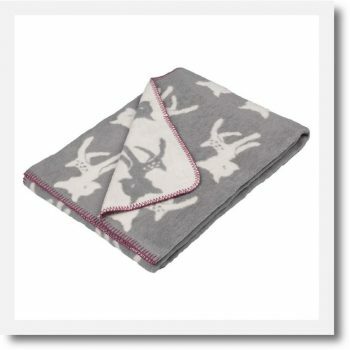 Made from 100% super soft bamboo it is perfect for newborn sensitive skin. 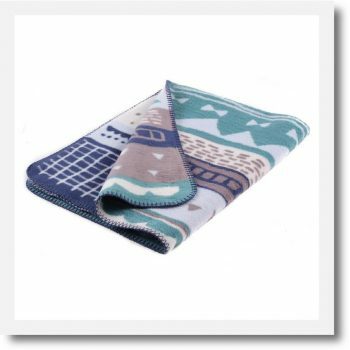 Not just for swaddling, swaddles are extremely versatile and also make ideal feeding covers, pram covers, play mats and more. Fully safety certified. Size 70cm x 70 cm. 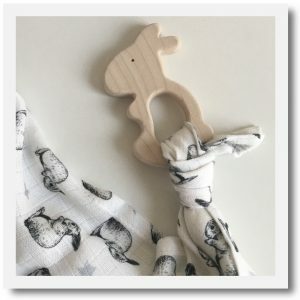 The matching teether is made from soft maple wood and is safe for babies. It’s an Ideal shape for baby to chew and grasp. 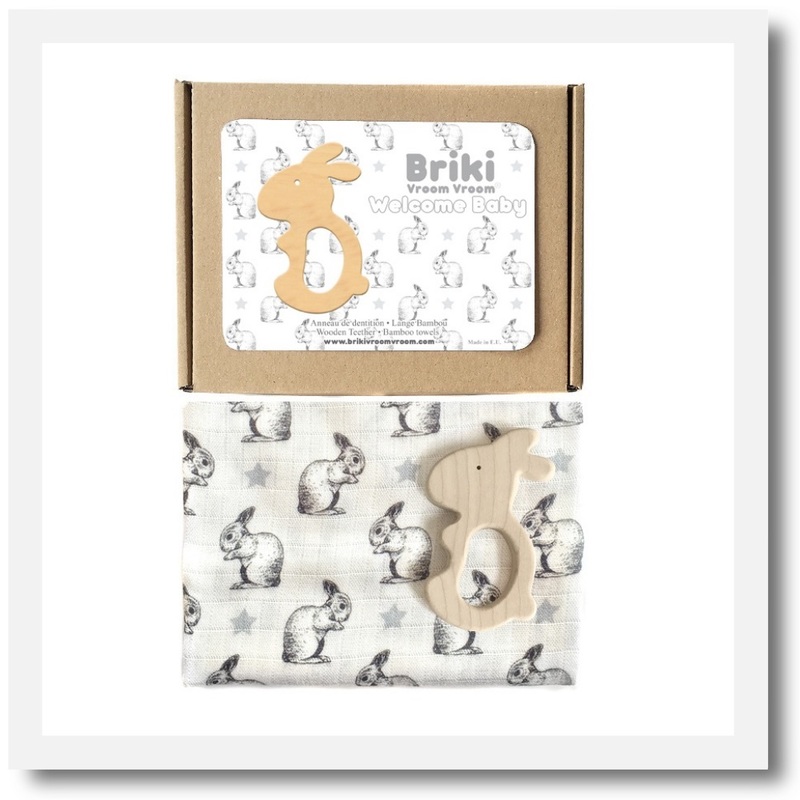 The Rabbit Baby Gift Set from Brikivroomvroom contains a matching Rabbit Swaddle and Teether. 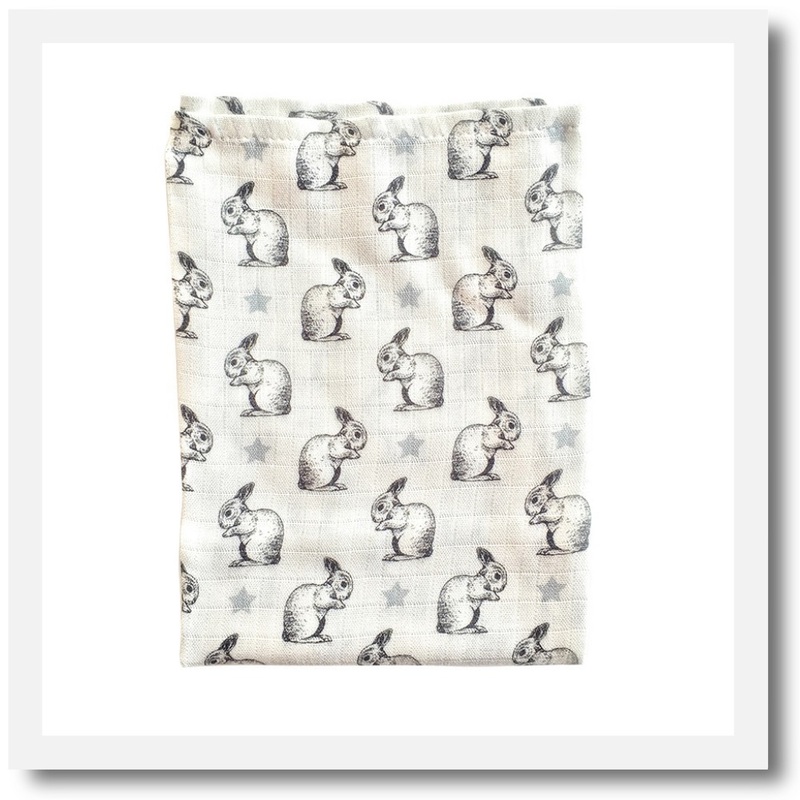 Made from 100% Bamboo these swaddles are made from the softest and silkiest muslin there is. 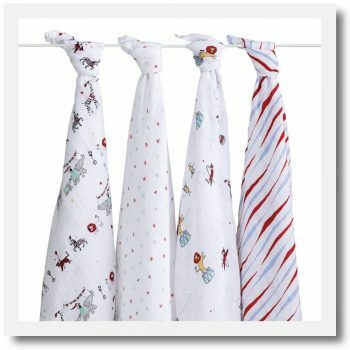 They are safe and comforting for babies and have anti-bacterial and anti-allergic properties. The teether is soft and light at just 15 grammes. 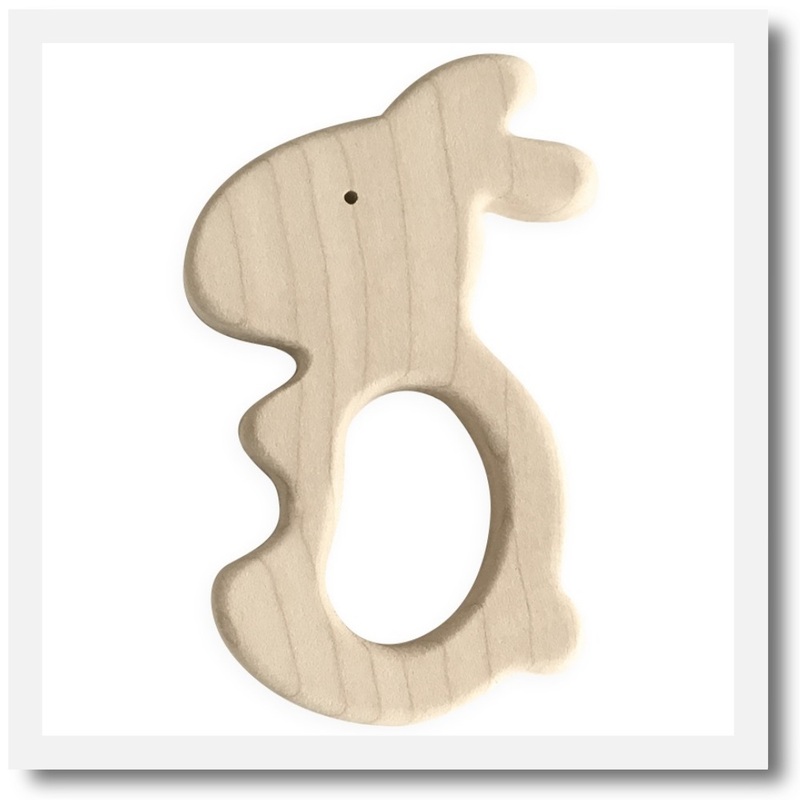 It is made from high quality maple wood and has been handcrafted in the Beskid Mountains in Poland. 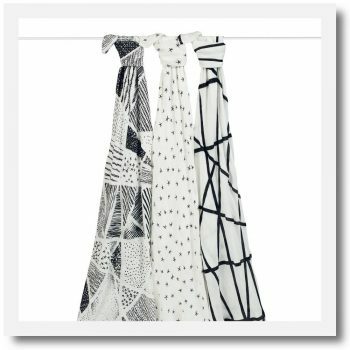 Certified under OEKO-TEX® Standard 100.